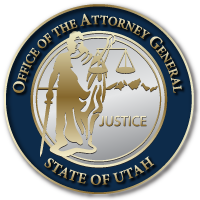 In the Utah Attorney General’s Office, we have tremendous respect for the office of the President of the United States. We thank President Obama for visiting Hill Air Force base and demonstrating support for our servicemen and women. We appreciate his recognition of Utah’s leadership and innovation, as well as our state’s spirit of industry, service, entrepreneurism, and fiscal responsibility. We hope his trip helps him understand why we feel Utah is the greatest place to live, raise a family, and start or grow a business in America.